Oszczędź $14.00 wybierając tę opcję już teraz. Create customized order with the price you want for your customers and send by email this pre-fills orders to facilitate the settlement of complex and variables order without having to create a product every time ! 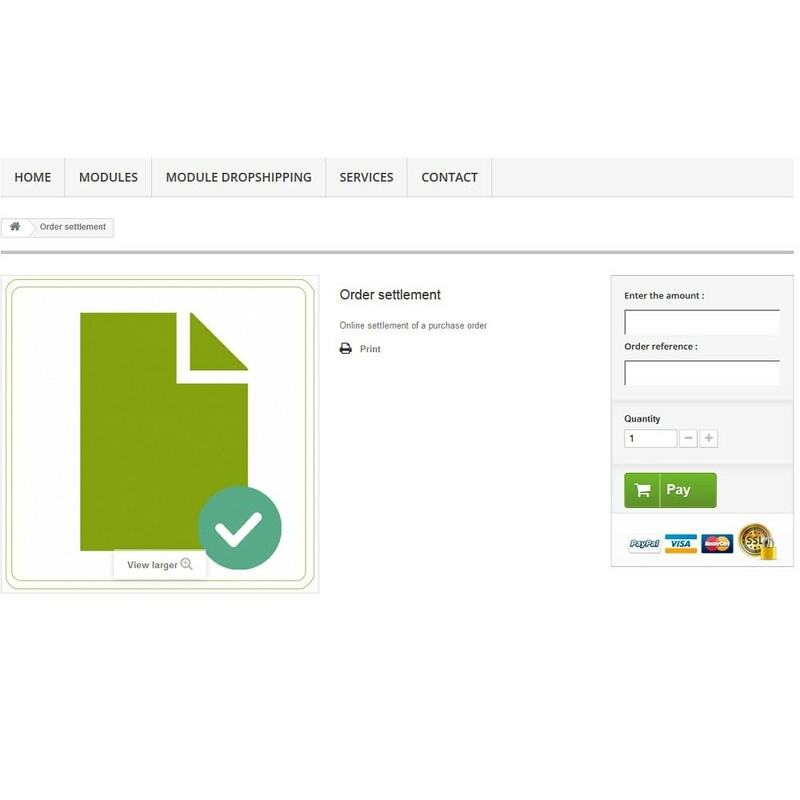 With this module, you can create custom orders with the price and the reference you want. For this, create a product and link it to the module. Then the customer can order the product and it will be duplicated with the new reference. The feature is very convenient to apply for rapid settlement of an invoice on your web site without having to create a specific product every time, or for a service with highly variable prices. 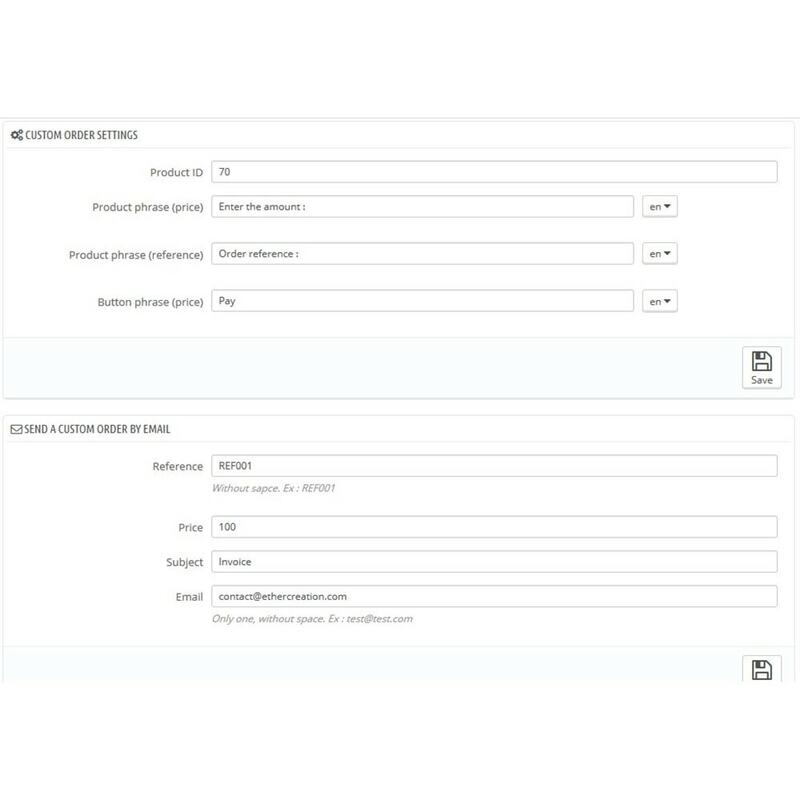 Also you can send an email to the customer with a direct link to the product page whose fields are pre filled and disable to simplify the settlement of the custom order. This module has to be integrate in emergency at your website, it simplify the resolution of many complex commands and it will save you a lot of valuable time. - Create custom orders from a product. - Reference and prices are customizable for each product order. 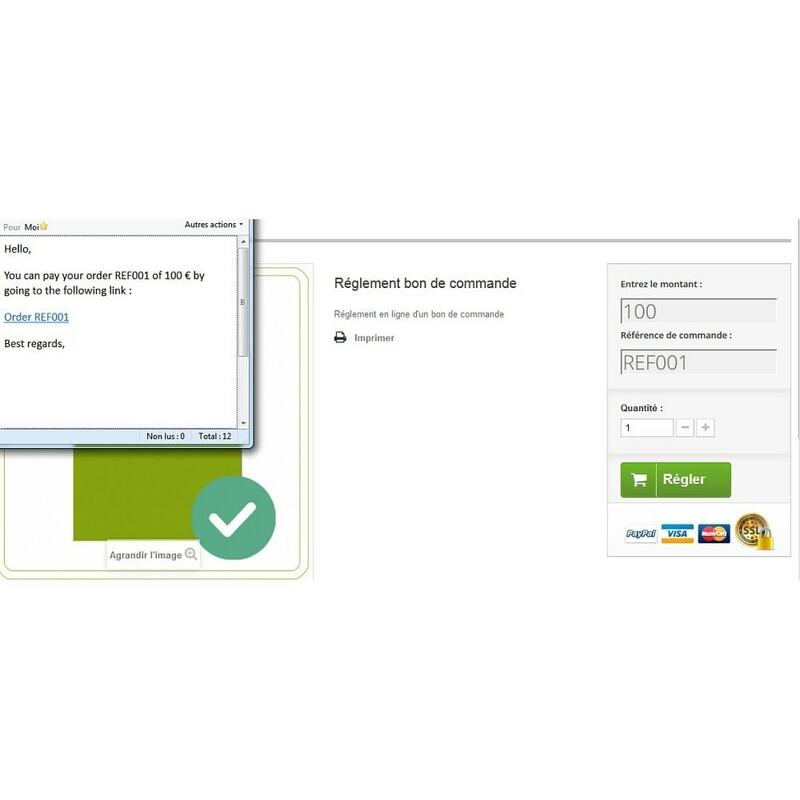 Set up email notifications on the email addresses of your choice when a new customer is registered on the store. Be notified if necessary in case of account or address modification.